a Flat in Russia's Northern Capital! St Petersburg Apartment Rental Guide is your essential guide to find, pick and rent a small or large Russian flat in the Imperial city during your visit. Whether you are coming to St Petersburg Russia for pleasure or business, or for study, and you're planning to stay for a short time (Minimum 5 days) or medium time (1 month or longer), you should think of renting a standard or luxury apartment instead of staying in Hotels. Among the main advantages of renting an apartment in Russia is getting more privacy, freedom, and more comfort when compared to hotels of the same price. But you may ask yourself... How to pick the right accommodation and make your St Petersburg apartment rental search easier? Well, here you can find a general introduction to renting an apartment for a short or longer period of time. My St Petersburg Apartment Rental Guide is designed to help travelers and/or visitors like you to get a better idea of what to expect from vacation apartment rentals, including a few factors everyone should be aware of before renting. All the information presented here is the result of my research and my personal experience on the subject. For your information, I've been living in St. Petersburg since the end of 2012, and I am happy to share what I know with you. To get started just click on a topic below to fast-track to that section, and if you need more information or you would like our assistance to find a place to stay please feel free to get in touch with us. Are St Petersburg Apartments Affordable? Renting an apartment in St Petersburg has become easier than over a decade ago as the market for housing is now wide open, growing, and offering a vast range of flats at a price and size to suit almost everyone. In fact, today thanks to the evolution of internet you can find an increasing number of online holiday apartments for rental direct from private owners, though the bulk of short or long term rentals are still offered, and I believe it will continue so, through local rental agencies. This means that the quality of your accommodation will vary according to the leasing agent. You should know that the majority of St Petersburg vacation apartments available are centrally located, in buildings which were constructed 100 - 150 years ago. The condition of these buildings is usually outdated due to lack of maintenance over the years. Therefore, you shouldn't be surprised to find crumbling plaster work on facades, chipped and graffiti-covered paint in entrance ways and communal stairwells, and old noisy elevators. This is a very common thing among all the buildings which went through the Soviet period and beyond. However, external appearances shouldn't influence your choice or concern you too much as the quality of the apartment interior usually differs greatly from the quality of the public areas and the outward aspect of the building. So, if you find yourself renting a flat in the central part of the city don't be put off by what the building looks like from the outside, but just wait to get inside. Generally, Russian apartments inside are renovated, modern, and well equipped with all the necessary furniture to cover your needs. Although there is no official system for classifying apartments in St Petersburg, here is my list of the type of apartments you may deal with when searching for yours: budget, standard, luxury, and communal apartments. The budget category covers the cheapest self-catering accommodation in Saint Petersburg. These apartments are located in ordinary buildings and are simply decorated with very basic furniture and fixtures. Be aware that some of these flats are not renovated, so they may need some repairs. But don't worry! Before renting everything will be clean and in working order. This is the type of accommodation suitable for visitors on a low-budget with no high expectations. The standard category is the most popular among Russians and visitors because they have been renovated to Western/European style standards, and the price is fixed at the average level. Usually, these apartments are fully renovated with nice and modern furnishings from IKEA or similar. They have kitchens equipped with a minimum of full gas or electric stove, fridge-freezer, electric kettle, TV, washing machine and dishwasher. This is the type of accommodation I recommend for families, friends, and business travelers with modest expectations. The luxury category covers the most expensive self-catering accommodation in Saint Petersburg. These apartments are fully renovated, well located and highly equipped with extra facilities, beautiful interiors, balconies, great views from the windows, and security services. They also have a better range of kitchen equipment and electronics (coffee machine, dishwasher, a system of “smart home”, etc. ), and the quality of furniture and fittings in these apartments is higher than average in the city short-term rentals. Definitely the best option for visitors who seek a very high level of comfort! Lastly, there are the communal apartments, old soviet style buildings located mainly in the suburbs of the city. This type of accommodation is recommended for those who want to stay for a long period of time and have a very limited budget. Please note that to live there is not easy due to the poor standard of the buildings, as well as the legal quality of facilities and furniture offered. Yes! In my view many apartments in Saint Petersburg Russia are more affordable than in the West or Moscow. The price of accommodation changes according to the type of apartment you rent (budget, standard, luxury) as well as with the size of the apartment (1,2,3 bedrooms), and the location. Certainly, the price also depends on other factors including the number of people, the length of stay, and the season as well as if the apartment is new or old. Bear in mind that vacation apartments for short term rentals are more expensive than those for long term rentals. Having said that, the average cost of renting a holiday flat in downtown per night varies from €50 during the low season months (October - April) to €70 - €100 during the high season months (May - September). Please take these figures approximately! For those who travel to St Petersburg, Russia in general, or abroad for a short or long period, the debate is usually whether to rent an apartment, or stay in hostels or hotels. Surely, each has its benefits! But nobody can argue that the final choice is up to you! Here you can read my pros and cons of St Petersburg Apartment Rental based on my experience. As per elsewhere, in the city of St Peterbsburg, you can privately rent from the landlord or through a qualified rental agency. If you decide to rent an apartment direct from a Russian owner, you may get a better deal and surely save some money, but you will be left on your own when dealing with it. It's as simple as that! On the contrary, if you decide to rent with the help from a local agency you're sure to have a full backup should any issue arise, including visa support and registration, but you will end up paying more due to the service given. Another point to take into account for a foreigner is also the Russian language barrier. If you search for a flat on your own, it is obvious you need to be able to speak Russian or at least ask a local friend or someone to help you unless you use international vacation rentals sites. Alternatively, through an agency, the whole process will be easier, simple, and secure. If I reckon well, rhere are several agencies in Saint Petersburg whose staff can speak English as well as other languages such as French, Italian or Spanish, you just need to do find them. To make your search easier, below, I am sharing with you my favorite online vacation rental sites, those I used myself during my past travels abroad. All of these sites are very popular worldwide, and to me have been very helpful and easy to use. I bet it will be the same for you, if you start using them! Tripadvisor - I believe Tripadvisor does not need any introduction as many of us know it and use it during trip planning. There can be found reviews of travel-related content as well as hotels and vacation rentals anywhere in the world. I would recommend Tripadvisor to any sort of traveler! Flipkey - This is a new and very good vacation rental marketplace with more than 300,000 homes and rooms around the world, recently turned into a partner of Tripadvisor, so a reliable platform to search and book your accommodation. I strongly recommend Flipkey for short and long term vacation rentals to families, friends, business and solo travelers. Roomster - This is the easiest and safest way to find out who your next roommate is going to be. There you can find home/apartment sharing worldwide. I would recommend Roomster to anyone looking for a room for sharing. Definitely the best place to look for students and/or low budget travelers. Coachsurfing - This is very similar to Roomster, but more popular around the world (I bet you heard of it). Basically it is another site offering hospitality exchange. After becoming a member you can look for "surf" on couches by staying as a guest at a host's home, host travelers, or join an event. I only recommend Coachsurfing for open minded people searching for a room for sharing. Very suitable for students and low budget travelers. Avito.ru - This is the most popular Russian online platform where anyone can list free and paid advertisements about goods and services from individuals and companies. There you can also find apartments or house for rent, buy, and even sell at a very reasonable price in the whole of Russia. I would recommend Avito to anyone who knows the Russian language well. There you can find very affordable short or long-term apartment rentals, and deal directly with the owner. 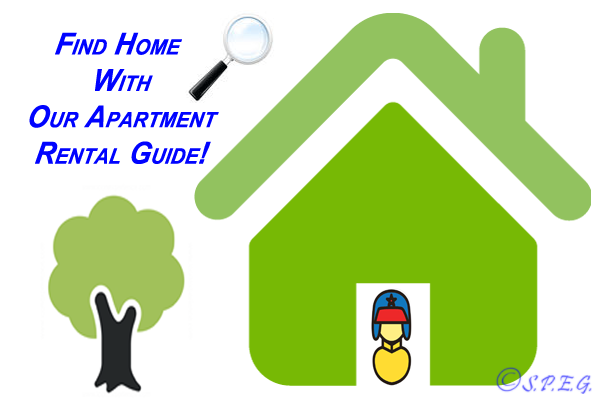 WHERE TO RENT AN APARTMENT - LOCATION MATTERS! Look for accommodation in and around the famous avenue Nevsky Prospekt in the Admiraltesky side. Nevsky is considered the historical centre of the city, where you can find all the main attractions, museums, restaurants, theaters, shops and bars of the city. Another good area to stay, but very quiet and not really convenient if you like to go out at night would be Vasilievsky Island or Petrograd side both situated not too far away from the historical city center. If you choose to rent a flat there or simply outside the city center, I strongly suggest that you stay in proximity to the Metro. WHEN TO RENT AN APARTMENT - TIME MATTERS TOO! What you should know is that during the high season (May to September), the price of the accommodation increases, while during the low season (October to April) the price decreases. During the peak season the demands increase too, this obviously creates a sort of overbooking effect leading to a shortage of decent flats. For this reason, if you plan to visit the city in the summer, I highly recommend booking a flat months in advance, so that you secure your place and get the best combination of price, location, and condition. To secure your booking a deposit will often be necessary. Please note that the amount varies based on who is renting out. It might be the equivalent of one night's stay; it might be 30 to 50 percent of the total; it might be something totally different. Generally, the balance is due 6 to 20 days prior to arrival. Also, you should expect to pay a bond against potential damages, either through a hold on your credit card or in cash to the person who gives you the keys. The money will be refunded when you check out. The payment is usually sent via bank transfer, PayPal or Western Union, while sometimes can be paid even in cash upon arrival. Lastly, talking about refund policies, just remember that less money is returned the later that you cancel your booking. However, if you rent your apartment trough the vacation rental sites I shared with you above (Airbnb, Flipkey, Roomster, etc.) the payment is taken online by credit cards and different rules apply. I don't know if you are aware of it, but in case you aren't you should know that by Russian law every foreigner that stays more than 7 days in Russia is obliged to registered themselves with the Federal Migration Service within seven working days of arrival, excluding holidays and weekends. The purpose of the registration is to notify the immigration office about the place of your stay while you're in Russia. As far as I know, anyone failing to comply with this old rule, may face big problems with the Russian authorities. That said, regardless of where you stay (hotel or vacation apartment), you must register your sojourn as I outlined above. But currently the thing is, while hotels are obliged by law to register your stay (if you book with them of course, and remind them to do it), private apartment owners are not. Therefore, you may find some Russian owners who are happy to take care of your registration if you ask, and of course, others who may not. In the event you encounter those who don't want to deal with the registration, then I would recommend that you ask a travel agency or a local friend to help you. Please also note that the compulsory Russian visa registration, whether you do it on your own or with the help of third parties, incurs a small fee (between $10/8€ to $20/18€ ), which you normally have to pay yourself. Now, feel free to read also my tips and suggestions below! Keep in mind that kitchen equipment in your vacation apartment will change depending on the type of accommodation you choose. For example, as standard, you can expect to have a gas or electric stove, fridge-freezer and electric kettle, including a modern bathroom. As luxury you can expect to have high quality kitchen and bathroom equipment, including free parking, dressing room, video surveillance systems, and much more. Hence, my advice is to choose well your St Petersburg apartment rental! You should know that Russian households typically do not own a toaster, so don't be surprised if you don't find one. Moreover, the toilet is separate from the bathroom. I strongly recommend that you lease a standard or luxury apartment to enjoy more comfort, feel safer, and avoid problems with water, electricity, and gas supply. One more thing you should know is that standard and luxury apartments are fully insured against accidents or burglary, but most of the time cheap flats and communal apartments are not. Make sure to ask the owner or manager of the apartment you're renting to provide you with a contact number in case of any issues and emergencies. In the event you rent with us, you can contact us by email, phone, and even "WhatsApp" application. Generally speaking, all St Petersburg apartments and houses have internet access, but sometimes it could occur that it is not available or not working properly. For this reason, I suggest that you check carefully in the apartment description to see if internet is available and works as well as other services. In the event the apartment you are staying in does not have internet access and you are on an extended stay, you can buy a mobile modem and sign up for pre-paid broadband internet access with the most popular mobile communications operators, such as Megafon, MTS, Beeline, Tele2, or Yota (Google them to find out what they offer and what their rates are). Today finding a St Petersburg apartment rental isn't any more daunting than hunting down a good hotel. My personal advice to you is to book with a reputable site that has a substantial inventory, good reviews, and accepts payments online. The list of St Petersburg apartment rental sites I shared with you on this page they will be very useful. Better than a hotel! Book a vacation rental and expect more when you travel. Search for vacation rentals in over 12,000 destinations. Remember, booking your apartment farther away from popular tourist attractions will save you money, but on doing that, make sure to check if the Metro is within walking distance from where you will be staying. In addition, if you're a night person who loves to go out, avoid renting on Vasileostrovskaya Island and Petrogradskaya area, or Vyborg side. If you stay there during the summer you will be locked in due to the opening of the bridges late at night. You should know that cancellation policies for apartments are different from hotels. So be sure to ask about the policy when booking so you know exactly when your payment is no longer refundable. Also, avoid assumptions and make sure to ask the owner or agency about anything that’s important to you to see if it’s included in the rental. When searching for your apartment try to be flexible with your dates. For example, if you’re able, consider traveling before or after peak season when there are better deals to be had. As with most things, the best-priced apartment rentals tend to go first. So, if you want to get the best price be sure to book as early as possible. If you are planning to stay more than 7 days in Russia, remember to ask the owner or the agency you are dealing with if the visa registration is included, or if it can be included when renting out. Lastly, if you plan to visit St Petersburg for less than 5 days, it is more convenient for you to stay in a hotel than in an apartment as the price would be pretty much the same - plus when staying in a hotel you can enjoy a full range of services, which vacation apartments don't include. From St Petersburg Apartment Rental return to St Petersburg Russia Apartments or go to the Homepage.